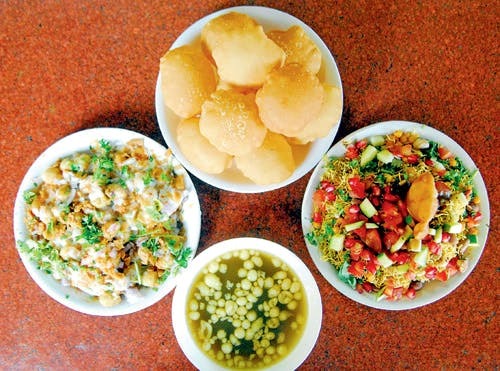 At this snack joint, you will be served the best of Bombay Chaat including sev puri, bhel puri and their popular tangy panipuris and spicy bhel by servers in uniforms. The panipuris are fresh and crunchy with the perfect balance of sweet, sour and spice that a lot of food stalls don’t get it right. The delicious tamarind chutney garnished with rich Indian spices adds the final touch. Their ragda pattice and the Bombay Chaat are so good that they're worth dying for. It is located at Babajan Chowk in Pune's Camp Area and has outlets on Appa Balwant Chowk and The Poona Club. You can’t say no after having one of these inviting panipuris. The outlet welcomes crowd from all around the city. It is the busiest during evenings when the market is full of people. So bring yourself out of your house or hotels and visit Babajaan Chowk to enjoy this pure street food treat!